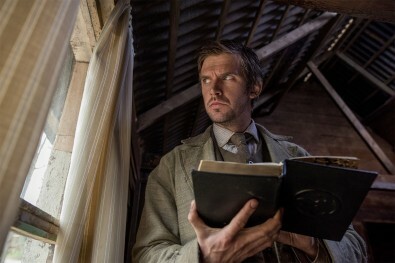 Netflix's Apostle was graded with Resolve at Cinematic Post Production. Recently-released indie thriller, Apostle, was graded and delivered using DaVinci Resolve by Welsh boutique post facility, Cinematic. We learn more about how the team upgraded its entire studio to complete their first show for the streaming giant. Written and directed by new talent Gareth Evans, Netflix Original feature, Apostle, tells the story of a man who travels to a remote island in search of his missing sister, after she is kidnapped by a religious cult. As he delves deeper into the inner workings of the island, more secrets are revealed which threaten everything upon which the commune is built. Starring Lucy Boynton (Murder on the Orient Express), Dan Stevens (Beauty and the Beast), and Michael Sheen (Frost/Nixon), the horror-thriller was shot on Red. Final digital intermediate was then delivered using studio version of DaVinci Resolve by Cinematic Post Production, Cardiff, UK. To do this, the boutique studio team decided to build its own in-house SSD solution capable of playing multiple streams of 16-bit DPXs in real-time. “We also bought a brand new cinema projector, a Dolby monitor, and more GPUs,” Bryn recalls, revealing that after the upgrade, Cinematic now has access to a flexible, fully scalable pipeline which can accommodate up to four Resolve grading suites. “We also rely on Blackmagic at the backend, whether it’s Teranex for standards conversion and Smart Videohub’s for routing through to SmartScopes and a whole host of mini converters to glue the workflow together,” he continues. Apostle was shot on Red and graded in Resolve. When it came to creating the final grade using the new set up, Cinematic colourist Matt Mullins – who had previously graded shows including Hinterland and Keeping Faith – worked with Evans to produce a textured, grimy look to complement the film’s sinister themes.